I went to a ladies retreat a while back, and each person brought snacks to share. 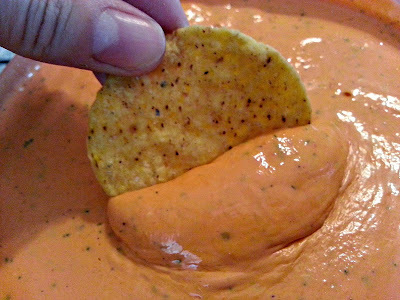 One woman, Jane, brought this amazing dip! I can not describe how delicious this is, you HAVE to make this! One step! Puree all ingredients together and chill in the fridge for a few hours to meld the flavors!